Alaska Gov. Mike Dunleavy aims to repeal the state’s Marijuana Control Board, raising alarm bells among cannabis industry officials and investors who fear the move would put licensing and enforcement decisions in the hands of one person and limit the industry’s input into rulemaking. Dunleavy’s plan was outlined in a letter to commerce department employees by commissioner Julie Anderson and a memo from Alcohol and Marijuana Control Office director Erika McConnell. The documents say Dunleavy, a Republican, wants to repeal the Marijuana Control Board and the Alcoholic Beverage Control Board and transfer authority and responsibilities of each to the commerce department commissioner. A Dunleavy spokesman said further details will be released when legislation addressing the boards is introduced. But Dunleavy is looking at ways to find efficiencies in government. 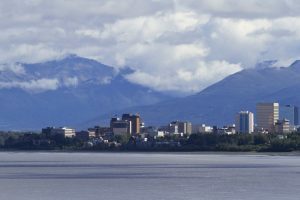 The proposal is one way the governor is trying to cut the state’s budget to close a $1.6 billion deficit, the Anchorage Daily News reported. The proposal would reduce the Alcohol and Marijuana Control Office’s budget by $48,700. Mark Springer, chair of the Marijuana Control Board, said he is concerned about the openness and level of public involvement in the regulatory process if rules governing the industry are drafted administratively instead of by a board. Springer also noted the 2014 voter-approved initiative legalizing adult-use marijuana referenced establishment of a Marijuana Control Board. Dunleavy’s latest move comes on the heels of his appointment of anti-marijuana activist Vivian Stiver to the board. Stiver’s appointment is subject to legislative confirmation. Meanwhile, McConnell wrote in her memo that the state Department of Public Safety had terminated her office’s access to databases for crime reporting and information needed for enforcement officers to conduct thorough investigations. McConnell also noted this has hampered investigators in their enforcement duties and compromised safety because investigators are unable to identify individuals flagged as a risk to officer safety. The safety department has expressed concern the FBI will strip the state’s access to its databases if marijuana regulators use them because cannabis is illegal under federal law, she said. But McConnell also noted the department has not asked the FBI if there is a problem and pointed out that, during a 2017 audit, the federal law enforcement agency did not flag any issues with marijuana regulators accessing criminal justice information.